Two distinct Canadian cultural facilities have both been certified Gold under the Leadership in Energy and Environmental Design (LEED) program. Designed by Diamond Schmitt Architects, the Burlington Performing Arts Centre (Ontario) and the Kinnear Centre for Creativity and Innovation (Alberta) find common ground in ways they incorporate green design elements not normally associated with these types of facilities. two-storey public lobby with a glass roof. 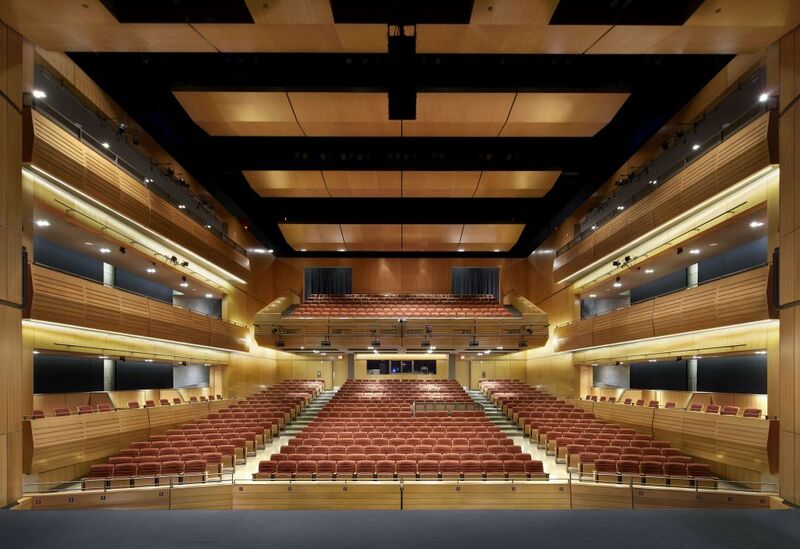 The main theatre includes a cantilevered balcony design that creates additional acoustical volume during performances. The facility was built on the site of a former police station. During the excavation process, hydrocarbon-contaminated soils were found. A water-remediation system—the first of its kind implemented underground in North America—was installed to prevent the movement of volatile organic compounds (VOCs) into the city’s water supply. In total, 90 per cent of construction waste was diverted from landfills and 19 per cent of materials used contained recycled content. Additionally, 50 per cent of wood products were Forest Stewardship Council (FSC)-certified, meaning they originated in responsibly managed forest areas. 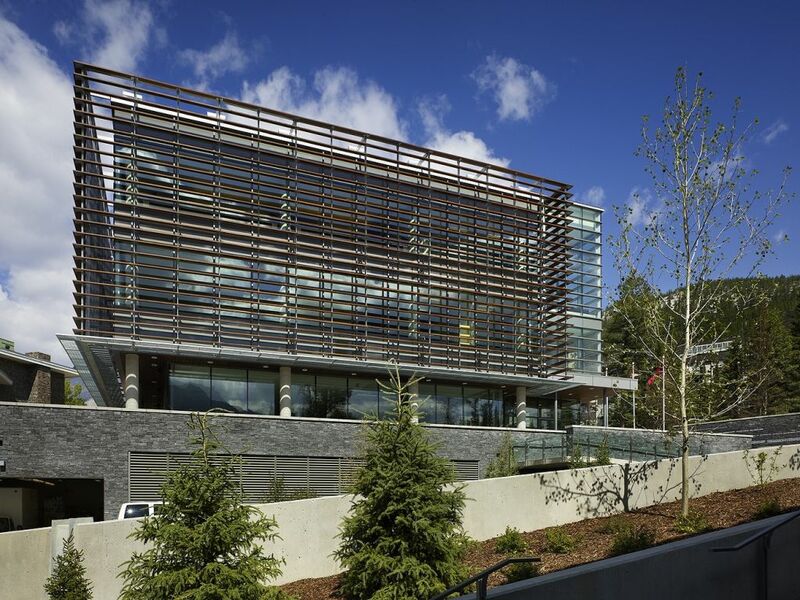 The second facility, the Kinnear Centre for Creativity and Innovation is part of the larger Banff Centre, located in its namesake national park. The multipurpose, three-storey 5574-m2 (60,000-sf) structure houses learning and meeting space, as well as performance and gallery areas. Opened in 2010, the space was part of the centre’s $100-million revitalization project.